On 22 May 2017, the BITPAL Coordinator, University College of Applied Sciences (UCAS) in collaboration with University of Calabria (UNICAL) organized the second training mission for the Palestinian partners in Cosenza-Italy at University of Calabria (UNICAL). Participants from Al-Azhar University, Al-Aqsa University, University college of Applied Sciences, and Gaza University attended the training mission that last in the period 22-25 May, 2017. The objective of this training mission was to introduce PS partners into different aspects of curricula development and teaching materials for IT programs in German system. The training highlighted the concept of knowledge value chain of IT projects and entrepreneurship, and how PS partners can exploit this experience in developing IT curricula to enhance job creation of the IT students during their study. On the part of UNICAL, Prof. Dr. Raffaele Longo (UNICAL International Relations Office), and Prof. Dr. Giancarlo Fortino (Project technical coordinator) welcomed the group and accompanied them in a tour visiting university campus buildings. At the end of the tour, Prof. Gino Mirocle CRISCI (Rector of University of Calabria) met the PS partners in his office, expressing his support to the project, and understanding how it was difficult for PS partners to get permissions for travel. In addition, he presented a gift to Dr. Hani Qusa and for all PS partners. The next meeting was with Dr. Gianpiero Barbuto (Manager of international relations office) where he talked about the running projects and the international students; he mentioned the importance of networking with international universities and funded projects for the PS universities. Then, PS partners attended another presentation with Prof. Dr. Riccardo Barberi who talked about NETVAL (Italian Network of Technology Transfer Offices of Universities and Public Research Organizations). Its mission is to share experiences and learn together how to better transfer their research results to industry. 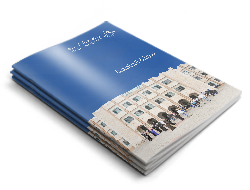 This idea inspired the PS partners to new horizons when thinking about the developing of the relationship between Palestinian universities and ICT market, and showed how it is essential to work together as one society. Finally, Dr Hani Qusa (UCAS) thanked Dr. Riccardo Barberi for his valuable presentation and invited him to visit Gaza as soon as possible. 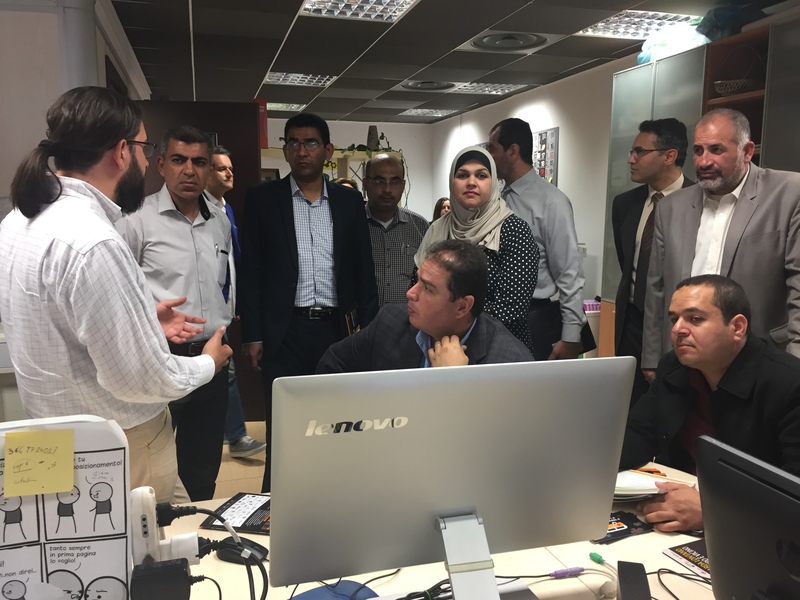 The second day began by visiting the success spin-offs of the technest incubator; PS partners visited four spin-offs in their tour: DLVsystem, Artemat, CalBatt, and ALTILIA. Then a success entrepreneur talked about his project which is GiPStech localization system. They focus on how they provided solutions for non-ICT sector through scientific ideas and research until being an independent business. Furthermore, Eng. Andrea Attanasio and Prof. Giuseppe Passarino (Liaison Office - Support for Research and Technology Transfer) Explained the incubation and acceleration process of spin-offs: selection process, and connecting between private sector and researchers, the discussion included many important points about the incubation process. After all, Dr. Hani Qusa (BITPAL project coordinator) thanked gratefully all presenters for their valuable information, and expressed how it is important and useful to develop the curricula by reflecting the acquired experience from Italy system to Palestinian universities.